Young people need encouragement to explore innovative ways to understand history and the world around them utilizing the latest technology. 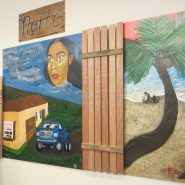 Interactive murals provide a hands-on opportunity for students to learn, create, and communicate ideas by combining research, art, and technology. This form of communication through art is a wonderful tool that can bridge the gap between past and present for young people in a fun and creative way. As their murals hang on walls in their schools and are shared online, students can develop a sense of pride in their research and creativity. 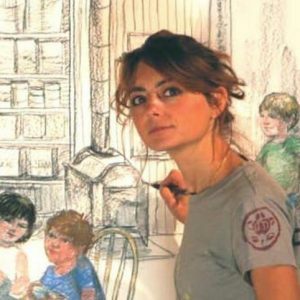 Karina Raude is an experienced interactive exhibit designer, muralist, and illustrator. She is driven to create murals that inspire a love for learning, creativity, and imagination. Karina works at the Seward Johnson’s Atelier Paint, Patina and Preservation Department.